CooksRecipes has quality, kitchen-tested recipes for beef burgers and patties that you can count on for successful deliciousness. 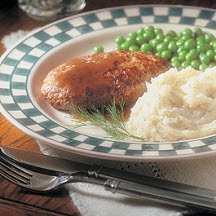 An old-time diner favorite, seasoned ground beef patties, shaped like "steak" are pan-fried and served with brown gravy and dilled mashed potatoes. 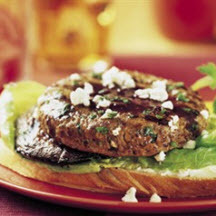 Lean ground beef patties are grilled alongside portabello mushrooms and slices of French bread for a unique twist on the classic mushroom burger. 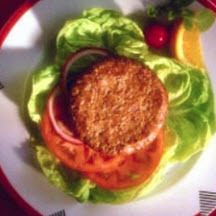 A light and satisfying meal of seasoned and broiled ground beef patties served atop lettuce leaves with tomato slices and onion rings.